(Belated) Season's Greetings, one and all! Sadly but predictably, the pre-Christmas home game with Sutton United fell victim to a waterlogged pitch. Bad news for my liver, my wallet and any performers at the On Trial UK 'Anchor Christmas Bash' who fancied a drunken heckle-free night. MUFC would follow this up by coming from behind (!) to draw 1-1 against Hayes & Yeading United on Boxing Day (Att 123) before smashing 6 (six) unanswered goals at Staines Town (Att 303). Apparently the contingent from Berkshire made up over half the crowd at Woking and the Youth comprehensively out-sung the 'home' support (TBF, 'ayes - in my experience - only ever have one song). Meanwhile, a good LCG turnout - plus legendary York Road management team Alan Devonshire and Carl Taylor - were amongst those present at Wheatsheaf Park. Former Bristol Rovers flop Jerel Ifil was sent off for the Swans (albeit with the Magpies already 3-0 up). Expect Drax to sign him sometime soon! Seriously, our recent defensive additions have obviously had a positive impact (Youth team coach Aaron Steadman singling out Brentford loanee Alfie Mawson, on Tw@tter, for praise). Also good to see David Pratt's name back amongst the goalscorers, with his 20-odd minute substitute cameo resulting in a brace. He must now be close to the mark - 12 league goals - that would trigger my charitable donations to the Link Foundation. Interestingly, Advertiser reporter Charles Watts would highlight, again on Tw@tter, a bet between Drax and Dereck Brown. Who will score the most goals, this season - Pratt or Alex Wall? Drax has apparently backed the latter. Might this explain why the former has spent time on the right wing and, more recently, the bench?! Our improved form, of late, will likely ensure that the sheep on the Mothership are soon bleating about possible promotion, rather than replacing Drax. As such, focus will once again turn to the (latest) proposed new stand. Has anyone, as suggested by Ground Hopper, thought of a name? It came to me, last night, in a dream (sad but true). 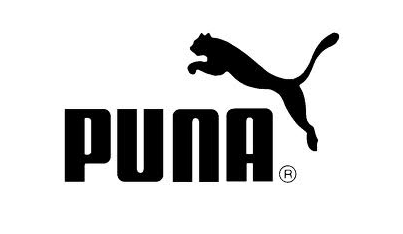 I think it should be named after Peter and UNA. Happy New Year! See everyone - figuratively, of course - on 1st January 2013 ... if the HAYU re-match survives the wet weather. In the past I/ we have been accused of/ credited with (delete as appropriate) being the wit behind @therealdrax. Now it seems that one person (at least) suspects me of being an 'Agent Provocateur' re correspondence, sent to the local rag, concerning the (latest) proposed new stand at York Road. 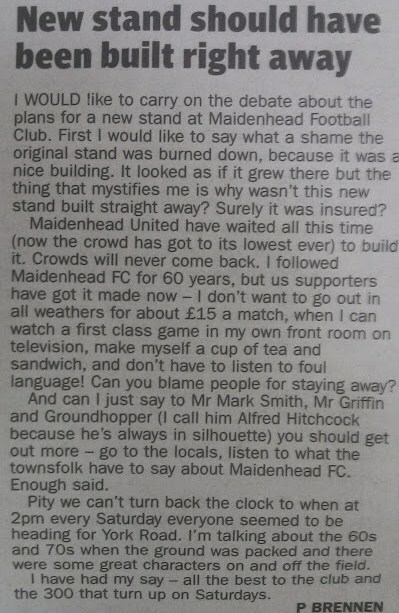 In the Advertiser last week there was an inaccurate, easily-mocked - but probably best ignored - letter from a supposedly-lapsed Magpies fan named 'P Brennen'. The letter could justifiably be categorised as 'anti-club', generally, and 'anti-new stand', more specifically. "My suspicion is this P Brennan person is not quite what he claims or who he claims to be" wrote one fan, on the forum. 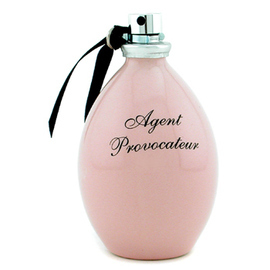 "Yes I thought he might be one of the GMOSC folks playing agent provocateur" replied the 'Magpie Webmistress'. The latter is, it should be noted, the person who took it upon herself to make unauthorised and uncredited edits to my posts (and others), prompting the Chairman to declare - via a Private Message to me - that "your access will be removed if you keep opening new accounts and posting previously removed material". The Chairman would soon apologise - again, via PM - "in this instance" but, shortly afterwards, changes were made so that you had to become a Club Member (on Pitchero) to even view the forum, let alone post. "Due to person or persons unknown disrupting the site by impersonating other posters" was the spin official reason, given at the time. I haven’t posted on the forum since, and so many (myself included!) would no doubt heartily thank MW for her underhandedness (consequences intended or otherwise). FAN: "Surely it is time for action, no more talking"
DIRECTOR: "Unless you have the magic answer as to where to obtain the six figure sum"
GMOSC: Easy. From the playing budget. FAN: "I have to say that I am getting really fed up with the abuse the opposition goalkeepers have to put up with at York Road this season. Personally I think its embarrassing for the club particularly as we are portraying ourselves as a family club. 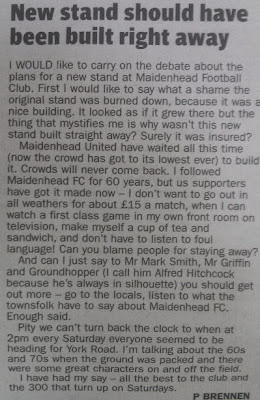 I understand bantering with the opposition players or even giving a player a bit of stick if he has past history with the club or has injured a Maidenhead player. But there is a difference between this and what I saw today, the completely unfunny "banter" that their keeper was subjected to during the match was extremely off-putting and at times bordering on homophobic abuse. This is not the first time that I have felt uncomfortable behind the goal as this has happened several times over the last few years although it was just terrible today. I realise that it is up to me to say something against this during the match but I would feel very uncomfortable doing this particularly as the "fans" often doing this are drinking on the terrace. 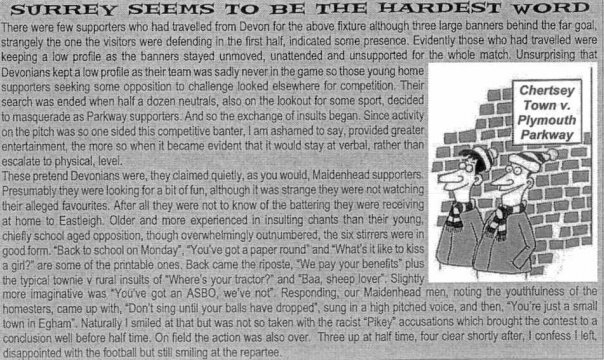 One of the main reasons I first started supporting the club back in 1997 was the enjoyable atmosphere at the club and the often funny chants and banter in the crowd which sadly I feel has been disappearing over the last few years (with a few exceptions such as Aldershot away last season) to be replaced by just abuse"
DIRECTOR: "please come and talk to myself or Mark Stewart about this next time you come to York Road"
GMOSC: As we don't know your address and so cannot post the banning order. FAN: "Thought David Pratt worked extremely hard again today but he really needs a goal"
Seriously, the aforementioned letter from 'P Brennen' has prompted a slew of replies. Many are featured on pg 20 of this week's Advertiser. This, supposedly, is good publicity for the club. I’m not so sure ... although perhaps it is. Regardless, this blog post - from 2012 - is still applicable, as far as I'm concerned. Crucially, it could probably have been written in 2009. Let's hope it's not still relevant come 2019.